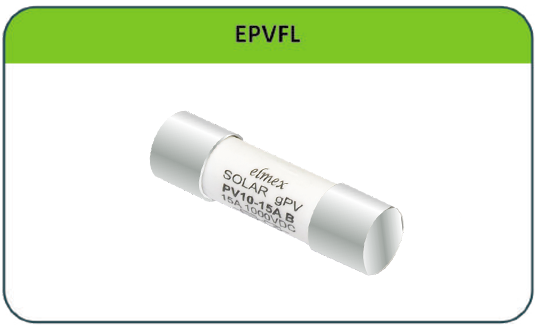 elmex PV Solar Fuse Terminal Block EPVFH1000 is suitable for photovoltaic application & applicable for string protection. It is designed for use in connection for photovoltaic devices like DCDB, Inverters, String Combiner boxes, etc. which is used for rooftop or ground mounted projects. The fuse terminal block is constructed as per standard IEC 60269-1 & are suitable for cylindrical gPV fuse size ø 10 X 38 mm. In order to dissipate heat generated in fuse terminal blocks, spacer can be used which works to provide 5mm space between two fuse terminal blocks, thus facilitating air circulation through this clearance.